If we’ve learned nothing else from watching five seasons of The Flash, it’s that time travel is tricky. Barry knows it, Nora should know it; yet in the ongoing battle to defeat Cicada, they are willing to risk altering the future by traveling through the past. This week’s 100th episode brings back some of the show’s greatest villains and provides a new perspective on some its darkest moments. 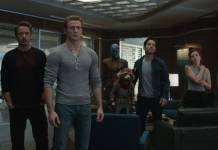 Strong writing by Todd Helbing and Lauren Certo allows viewers to fully grasp how the current timeline is so dependent on the smallest details of the past, while creative direction by Tom Cavanagh gives us a fresh take on some of the show’s greatest hits. The episode is fast-paced, but it neatly ties the team’s present to all of events of the past, and has lots of surprises that will leave you on the edge of your seat, wanting to see more. Last week’s episode ended with the team learning the identity of their newest enemy, Cicada. Knowing that Orlin/Cicada visits his niece at the hospital, Ralph and Sherloque go undercover to take some surveillance photos. Back at S.T.A.R. Labs, they report their findings to the team, predicting when Cicada will be at the hospital next. Barry is gung-ho about racing over to catch Cicada, but Sherloque reminds him that they need a way to catch him without giving Cicada the opportunity to use his power-draining dagger. Nora, who is sitting in a chair reading her journal, chimes in that they need a weapon that is more powerful than Cicada’s dagger and the elements to build such a weapon are all in the past. All they need is 1) an indestructible alloy with magnetic properties like Savitar’s suit, 2) something to remove dark matter from the dagger like the speed force transmitter that Zoom used to steal Barry’s powers, and 3) dark matter from the particle accelerator to recalibrate the speed force transmitter. And so, the quest is on! We are treated to watching Nora and Barry running through the speed force, but unbeknownst to them, they are being followed by a Dementor Time Wraith. First stop Savitar! Barry finally notices the Time Wraith and instructs Nora to get a piece of Savitar’s suit while he rushes off to deal with the wraith. Nora watches as Season 3 Barry phases into Savitar’s suit and shatters it, while Savitar is knocked out on the ground. But when Savitar rises, Nora also gets to see her mom save the day by shooting him before he can kill Barry. If jumping off a building to save Barry wasn’t enough, Nora has yet another example of how badass Iris can be. Next stop on the quest, Zoom! With a piece of Savitar’s suit in hand, Nora and Barry travel to the moment from Season 2 when Hunter Zoloman/Zoom (Teddy Sears) injects himself with Velocity 9 and Barry gives up his speed to save Wally. After Zoom leaves, current timeline Barry sneaks into the room to look for the speed force transmitter but can’t find it because Harry Wells has it and is flailing things around in his frustration about not knowing where his daughter is. Harry does not realize that this is Barry from the future and Barry is able to talk him down and obtain the transmitter. During the whole Barry/Harry exchange, Nora was off watching Season 2 Iris console the distraught Season 2 Barry about having lost his power. Nora witnesses the power of the love that has always existed between her parents. Current Barry retrieves Nora for the next step of their quest, but they are intercepted by Zoom. Zoom begins to chase down the two speedsters, but he is pulled off by a Time Wraith, throwing Nora and Barry off course, damaging the transmitter in the process. Barry is about to give up the quest, but Nora convinces him to ask Harrison Wells to fix the transmitter. Barry and Nora phase into the Season 2 Flash Back Time Vault where Wells/Thawne has an unconscious Barry handcuffed to a chair. This is my favorite scene of the episode because it features my favorite version of Wells – the evil whisperer Wells, aka Reverse Flash. There is so much packed into this scene that it bears repeat watching. In trying to discover the identity of Nora, Wells refers to comic versions of The Flash. Asking if her name is Jesse Chambers, Danica Williams, or Dawn Allen, and learning that her name is Nora, Wells remarks that at least Barry still has one, alluding to the Tornado Twins born to Barry in the comics. Tom Cavanagh brings back the snarky, taunting version of Wells when he asks Nora about Savitar, and calls Nora a clever girl when he learns that using part of Savitar’s suit to destroy Cicada’s dagger was Nora’s idea. We also get to revisit the enmity between Wells/Thawne and Barry. The intensity of their exchange in this scene is everything. Barry explains the situation in regards to the transmitter and tells Thawne that he never makes it back to his own time, but he will if he helps them now. Having no choice, Thawne takes the transmitter and fixes it; but his interest in Nora hints that he will be using her sometime in his future. He even raises a hand in a strange signal to her before she departs for the next step on the quest. Barry and Nora return to the beginning – the day in Season 1 when the particle accelerator first exploded – to retrieve some of the dark matter for the transmitter. They arrive just as Wells is about to activate the accelerator for the first time, and wait in the Time Vault. Wells senses the arrival of the two speedsters and hesitates in his actions, moving into the hallway to investigate. Caitlin and Cisco follow. Wells asks Caitlin to have Ronnie do one more check on the accelerator, and is alone with Cisco in the hall. He thanks Cisco for his help in bringing his vision to fruition and in raising his hand to shake Cisco’s we are reminded of the time that Wells/Thawne raised his hand to rip out Cisco’s heart. They awkwardly shake hands and we are also reminded of the unique relationships between Cisco and all the versions of Harrison Wells(s) that we have come to know and love over the past 5 seasons. In the Time Vault, Barry and Nora are greeted by Gideon and Barry instructs the super computer to inject the dark matter into the transmitter when the particle accelerator explodes. Nora is intrigued by Wells’s Reverse Flash suit, but Barry tells her not to touch it, explaining that the reason why Barry hates Reverse Flash is because he killed Barry’s mother. It seems that Nora did not know that her grandmother was killed by Thawne. When the particle accelerator explodes, we are given a nice montage of the creation of some of The Flash’s villains. We see Clifford Devoe (The Thinker), we see Clyde and Mark Mardon’s (Weather Wizard) plane go down, and we get a brief glimpse of Gorilla Grodd in the lab. We also see the creation of the Professor Stein part of Firestorm. Barry and Nora speed off to the hospital to plant the transmitter for their future use, and while there we see Harrison Wells and the past’s Barry being brought in on stretchers. In a nice touch of continuity, the doctor on duty is none other than Dr. Ambres – the doctor who is treating Cicada’s niece. Her role in the Cicada storyline may be more than incidental. We already know that she is the one who convinced Cicada that the metahumans are to blame for all of troubles in Central City. 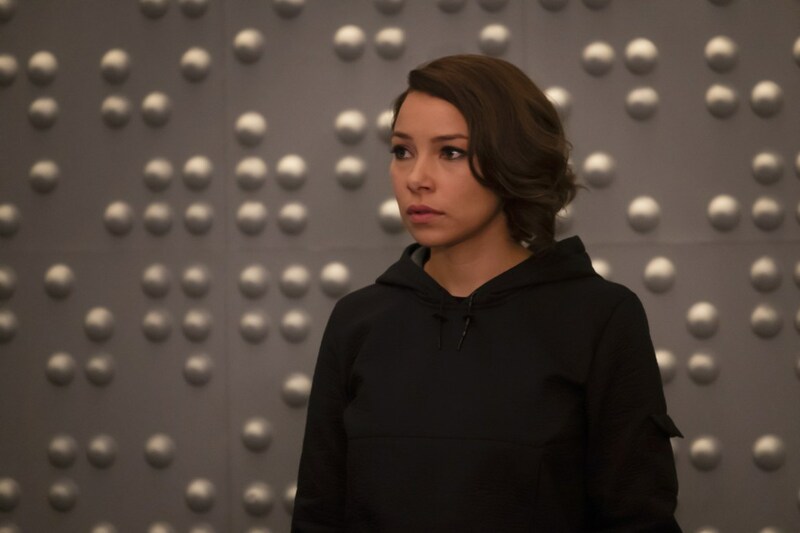 I am wondering who she lost the night the particle accelerator exploded and predict that she will be a character to watch during the rest of this season. Back in the current timeline, the team goes to the hospital to capture Cicada. Orlin comes outside in full Cicada garb, threatening to kill them all. Barry points out that Cicada is now a metahuman. Cicada tells Barry that he plans on killing himself once he knows that he has rid the world of metas and that Grace will be safe. Cicada throws the dagger but it circles around Barry, Nora, Ralph, and Cisco, planting itself in the column where Barry and Nora had hidden the transmitter. Cisco is then able to grab the dagger and vibe it into space. However, this does not defeat Cicada. With a yell, the dagger starts to plummet back to Earth and back into Cicada’s hand. Luckily, Caitlin had come along. Seeing her team in danger brings out the Killer Frost in her and she blasts Cicada, knocking him back into a truck. Cicada flies off with his dagger but we learn something. Since Killer Frost is not a meta, she could be the key to ultimately defeating Cicada. We return to S.T.A.R. Labs and Nora looking for her journal. She finds that Sherloque has taken it and he asks her about the code in which the journal was written. Nora claims to have made it up herself, not knowing that Sherloque has already started to decipher the code on Cisco’s computer. Sherloque hands the book to her and as she leaves, he calls her a clever girl. Uh oh again! Does this mean there is some kind of tie between Sherloque and Wells/Thawne? Sherloque goes back to the computer and we see the one line of code that has already been deciphered: The Future is Malleable. The end of the episode gives us a little teaser about the upcoming Elseworlds three-night crossover event that begins on Sunday, December 9 featuring The Flash, Supergirl, and Arrow. The crossover will also bring us Superman and our first look at Ruby Rose as Batwoman! The Flash and Supergirl will switch timeslots for this event, so don’t forget to watch on Sunday! You can see the trailer for the crossover event here.